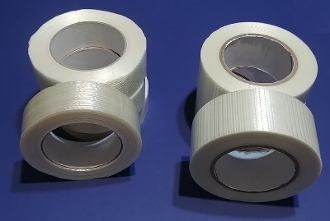 Filament Strapping tape in three types. 2" Regular, 3/4" Regular and 2" Bi-Directional. 60 yard rolls.